I’ve been picking up a lot of different books in the “women’s fiction” category lately (laying aside for the moment any quibbles I may have with that label), largely because that’s the label under which I’m currently trying to get published. The happy upside of trolling through the fiction shelves looking for contemporary stories by women, scanning the Acknowledgements page to find out who their agents are, is that sometimes you stumble upon some really great writers with really great books. 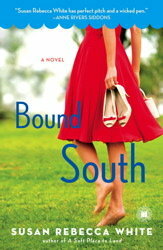 This is how I found Susan Rebecca White, and after reading Bound South I will definitely be looking out for more books by her. I guess it’s just coincidence that several of the novels I’ve read recently are told from the perspective of three different women, with alternating points of view. Bound South follows this pattern, telling the story of Louise Parker, her daughter Caroline, and Missy Meadows, daughter of Louise’s cleaning lady, as their lives unfold in Atlanta and beyond over a ten-year period. 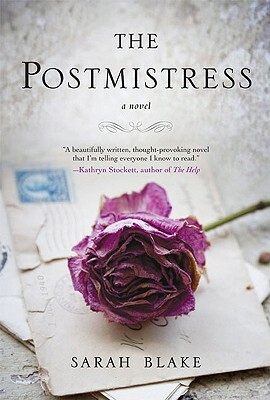 The Postmistress is a World War Two novel with a difference. Most of the novel is set in a small New England town in 1940-41, just before the U.S. enters the war, when Americans are deeply divided about whether to go to war or not. This novel has three main characters. The first is Iris, the titular postmistress (or postmaster as she prefers to be called), who delights in the orderly transfer of information in her small town. The second is Emma, the doctor’s young wife, whose husband goes overseas even before America declares war, to help with the effects of the London Blitz. Emma already has tragedy in her background, having lost her whole family to the Spanish flu epidemic when she was just a child. Now she hopes not to lose her new husband as well. Finally, there is young American journalist Frankie Bard, whose voice on the radio carries the news from London back to America — until she becomes intrigued by what’s happening to Jews in occupied Europe, and makes a life-changing journey into Europe to record the voices of people trying to escape the horror that nobody yet knows as the Holocaust. North and South is not a book I would have picked up without the prodding of an online book club, but I’m glad I did. It’s one of those nineteenth-century novels I managed to miss in the course of getting an education, but it’s not by one of the big-name authors of that era — Dickens, Austen, either of the Brontes. It’s by Elizabeth Gaskell, a well-known Victorian writer but not one who makes the first tier of must-read 1800s novelists today. 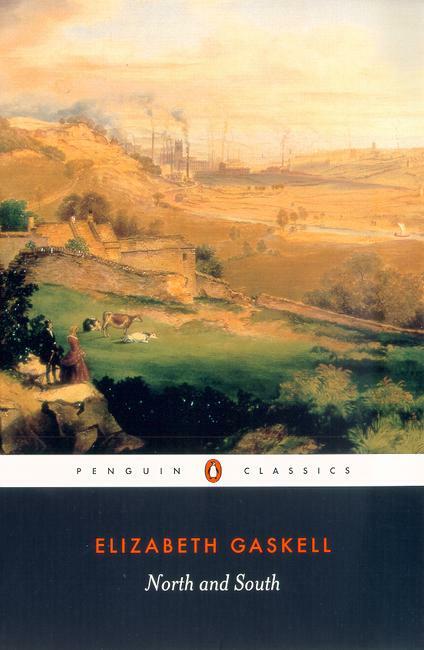 North and South is set against the backdrop of the Industrial Revolution. Margaret, the main character, is the daughter of a clergyman in the south of England. When her father’s religious doubts lead him to abandon his career in the Church, he instead takes a post as a private tutor in a manufacturing city in the north. Margaret’s prejudices against manufacturing, cities, and people who’ve made their money in trade are all tested by the people she meets in her new home — particularly the strong-willed and enigmatic factory owner Mr. Thornton. Well, you can see where this is going, can’t you? Set in the early 60s just on the cusp of the civil rights movement, this novel explores a fascinating time when the status quo is still taken for granted by the vast majority of people, both black and white, yet a tiny and vocal minority is beginning to question it and attempt to change things. 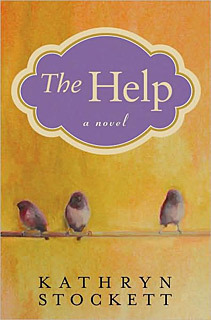 Change is never comfortable or easy, and that’s an underlying theme in The Help – many people, on both the black and white sides of the social divide, would rather keep race relations exactly as they are for fear of the upheaval that change will bring. But change is inevitable, and we see how a change of attitudes plays out in one individual as Skeeter is transformed from an unhappy but socially acceptable daughter of a prominent white family, to a happy but wiser proto-hippy getting ready to leave the South for New York City at the end of the novel. 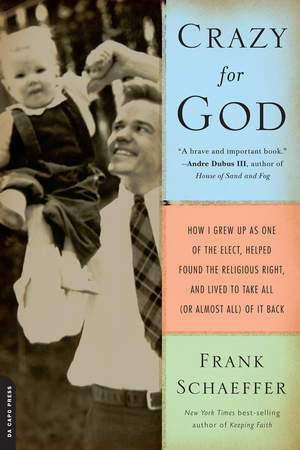 Crazy for God is Frank Schaeffer’s memoir about growing up as the son of famous evangelical teacher and writers Francis and Edith Schaeffer. In the 1950s, when Franky was young, their family lived in a Swiss mission called L’Abri. There, they created a unique blend of conservative fundamentalism fused with a love of art, music and culture. Francis Schaeffer’s thinking about Christianity and culture profoundly impacted an entire generation, but also created a strangely dissonant world for his children, particularly his only son, to grow up in. This dissonance is evident throughout the book, especially in young Frank’s relationship with his parents. There’s obviously a lot of love there, but a lot of resentment too, not so much against them as people (though his father’s erratic and harsh temper, so at odds with his public image as a gentle saint, comes in for much condemnation) as of the religious beliefs that drove their parenting. This is another book that fits in the same category as Matthew Paul Turner’s books and Jason Boyett’s O Me of Little Faith – young evangelicals who are admitting to serious doubts about the fundamentalist faith they were raised in, yet have chosen to explore and live with those doubts without abandoning the faith. 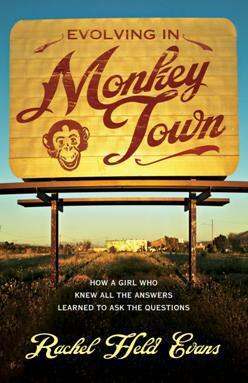 The subtitle of Evolving in Monkey Town is “How a Girl who Had all the Answers Learned to ask the Questions,” and there are so many points in this memoir wehre I can relate to Rachel Held Evans. In my review of Boyett’s O Me of Little Faith, I said that I could relate to having been a lifelong doubter and questioner, and while this is true to a point, I can also relate to Evans’s early experience of certainty. Like her, I grew up in a church tradition that values certainty above almost anything else, that places great importance on knowing the reasons for your faith and being able to proof-text your way through “witnessing” to anyone who might question your beliefs. And, like Evans, I was both a good girl and a smart girl, so I got good at defending my faith and coming up with answers to my own questions and the questions of others.